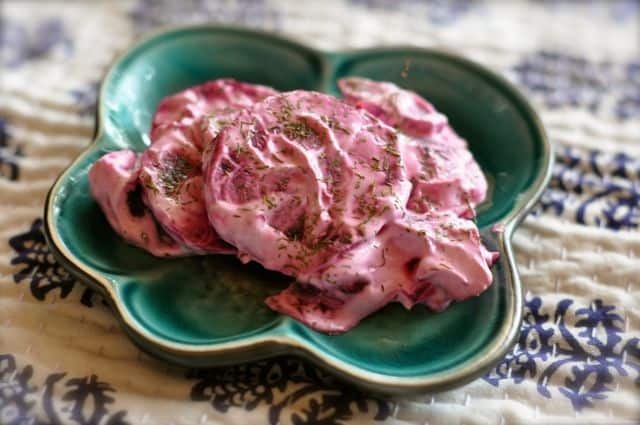 Beets are so easy to roast, so I love to use fresh beets when making this dish. Beets are often in season, so you are always bound to find some fresh beets that are available. I bake my beets in the oven by wrapping them in foil, and then baking them until they are soft. When the beets have cooled simply push off the peels, and then slide off the beets. 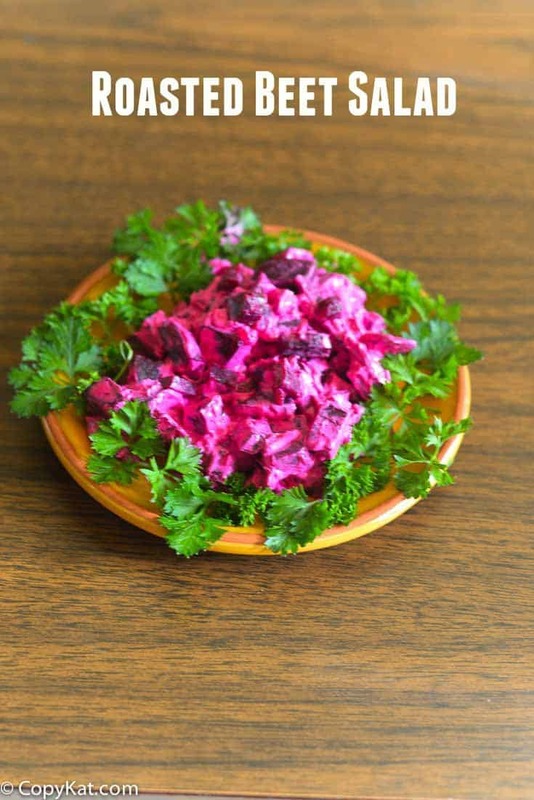 Roasted beets go so well with sour cream, enjoy this salad recipe. Wrap beat in foil, and place on a baking sheet. Bake the beets for 35-45 minutes or until fork tender. If your beets are on the larger side they may take longer to bake. When beets have cooled enough to handle unwrap from foil packets and gently push off the skin of the beet. Slide beets into 1/4 inch slices. Prepare sour cream sauce by combining 1 tablespoon sugar and 1 cup of sour cream together in a bowl, mix well. Add in beets and fold into the sour cream sauce. Season with black pepper, salt, and dill. You may want to garnish with dill before serving. I love this recipe! it is so refreshing and comforting. Thank you. How else do you enjoy beets.